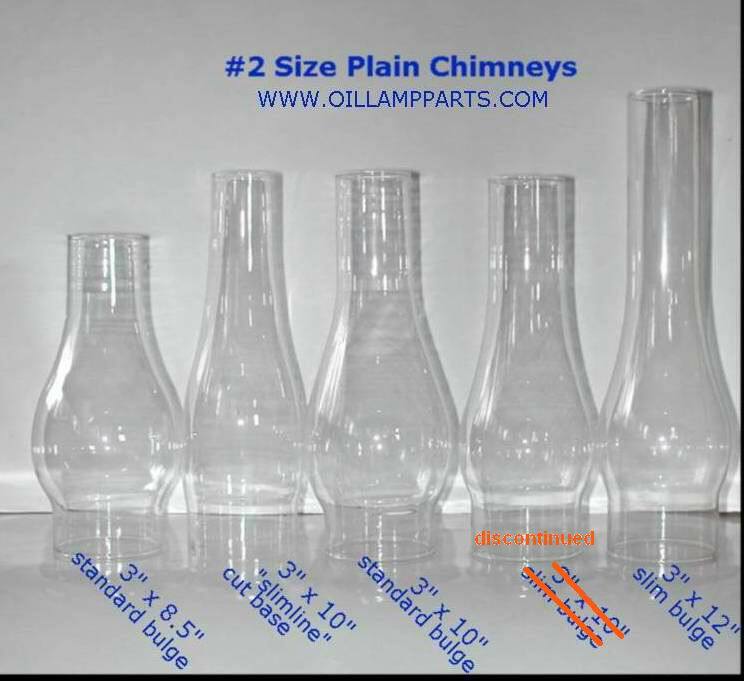 All of these chimneys have a 3-inch outside diameter base, known as size #2. They are designed for full-size lamps, the bulge and height depends upon the glass shade on the lamp. For example, for the standard student shade, one probably would want an 8" tall chimney, or a 10" tall standard bulge chimney. For lamps having a ball shade with a small upper opening (3.5"), one would want to use the slimline cutbase 10" tall chimney. For parlor or banquet lamps the 12-inch tall chimney may add a nice elegant proportion. Please email me if you need advice or are unsure which is best.